The BMW 3.0 CSL Hommage is a spectacular concept car developed by BMW to pay respect to the original BMW 3.0 CSL model from the 1970s. The original 3.0 CSL was a stylish coupe at the time, and one that has gone on to become a highly prized collector's car. 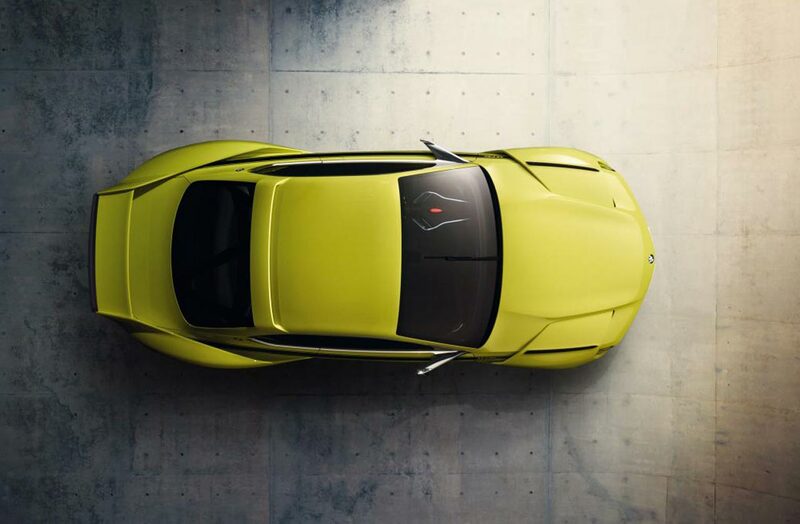 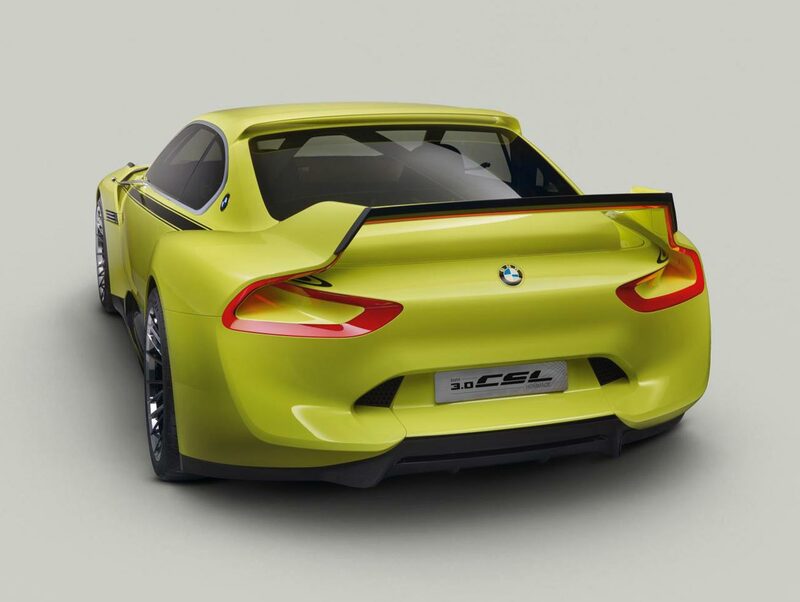 The CSL in the car's name stands for "Coupe Sport Leichtbau" (coupe, sport, lightweight), and for the 2015 concept car BMW haven't forgotten where it came from. 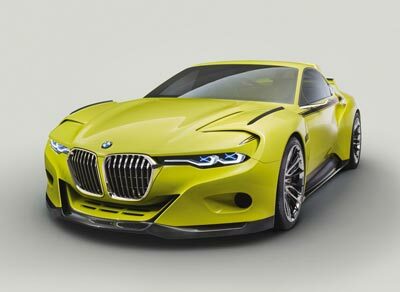 Like the 1970s car - which featured aluminium body panels and Plexiglas windows - the concept has been designed to be a light as possible. 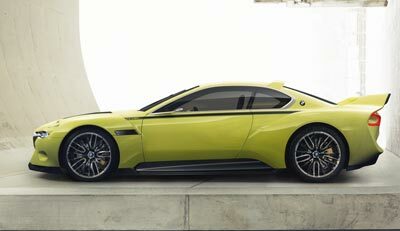 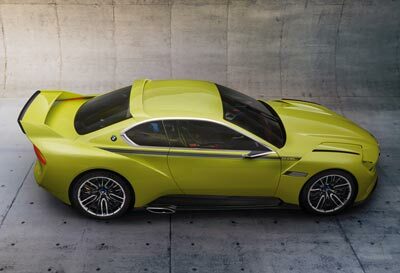 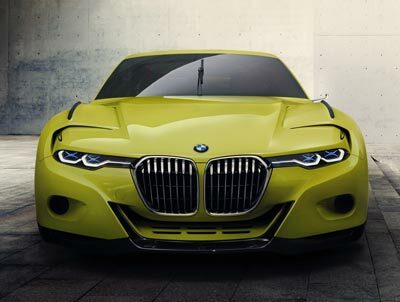 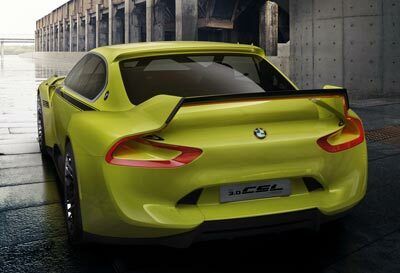 Carbon fiber has been used extensively for on the BMW 3.0 CSL Hommage concept, and the bodywork has been styled to mimic many of the features found on the original car, including a shark nose headlight and grille assembly, wide wheel arches, a roof spoiler and of course a large rear wing. 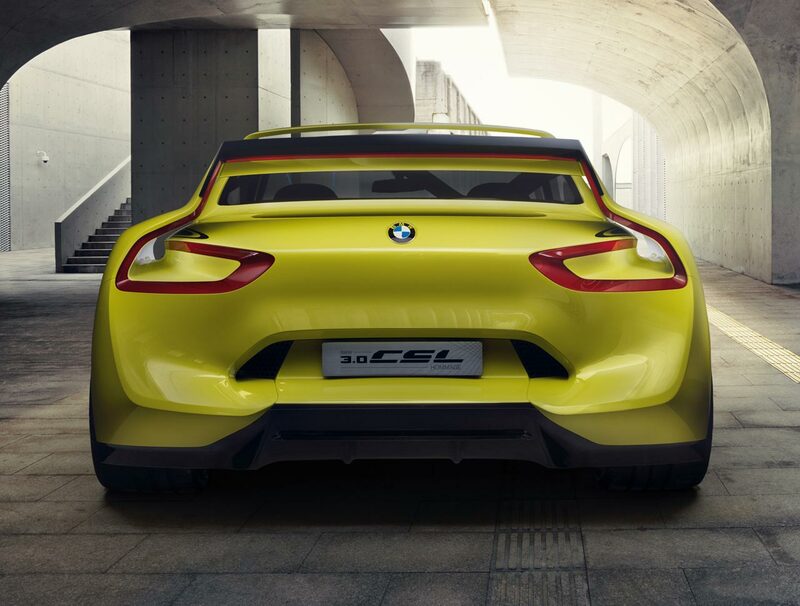 Up front the concept features a combination of laser and LED lighting, a stylized 'X' has been integrated into the headlights as a nod to the long-distance racers of the past. A prominent carbon fiber splitter sits below the aggressively styled front bumper. 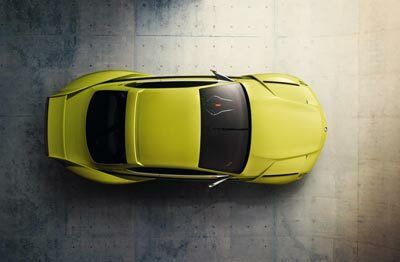 In profile the large 21-inch multi-spoke wheels are shown off at their best, and the small BMW roundel on the C-pillars (carried over from the original car) can be seen. The subtle graphics running along the top of the doors are also carried over from the '70s model. The interior of the BMW 3.0 CSL Hommage concept is stripped back to the essentials. 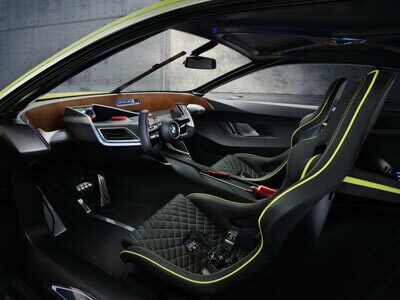 Quilted black bucket racing seats with contrasting yellow stitching are provided for the driver and passenger, while the conventional steering wheel has been replaced with what looks like a very small and completely impractical yoke-style steering wheel. 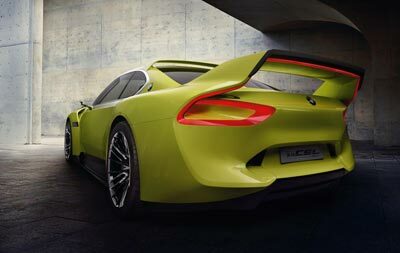 Carbon fiber has also been used for the interior and left in its bare form. 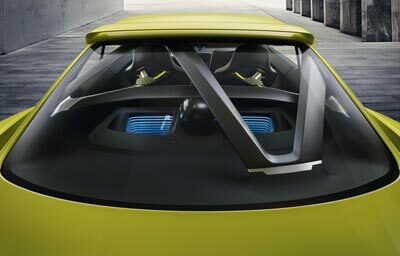 The racing pedigree of the car is apparent in the six-point harnesses, integrated fire suppression system and emergency shut off switch. 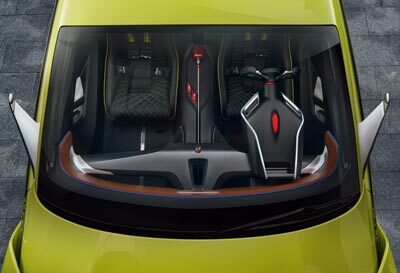 In addition there is storage space for two helmets behind the front seats. 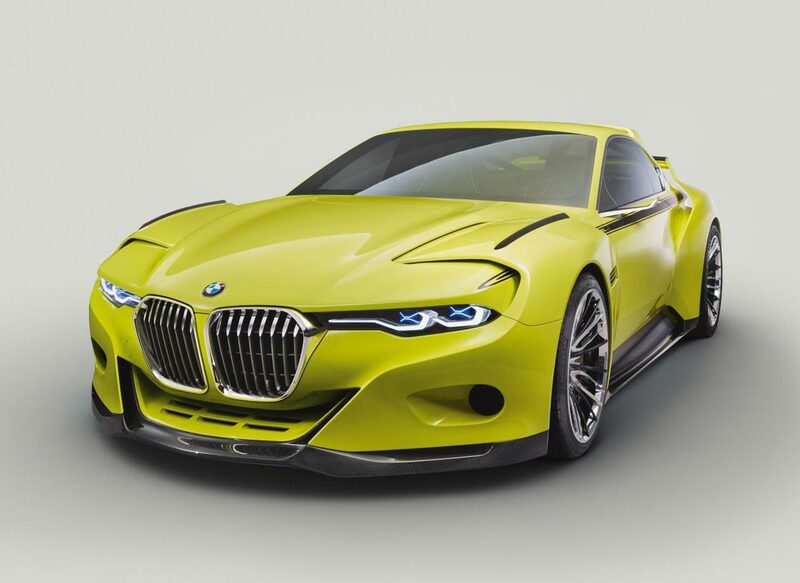 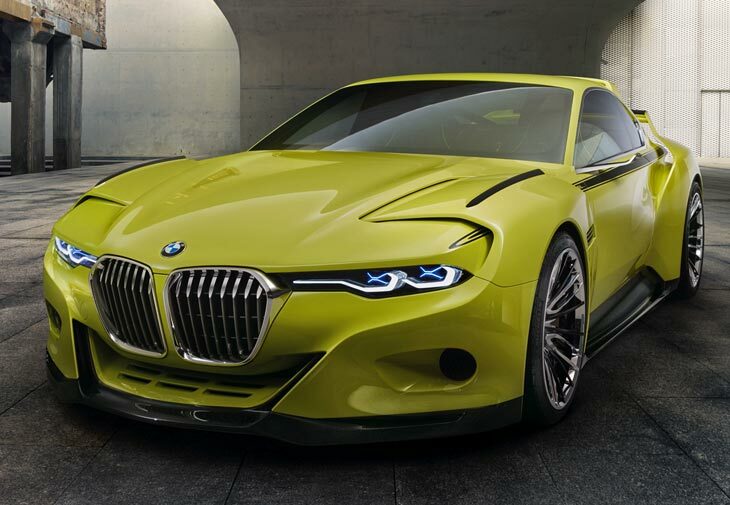 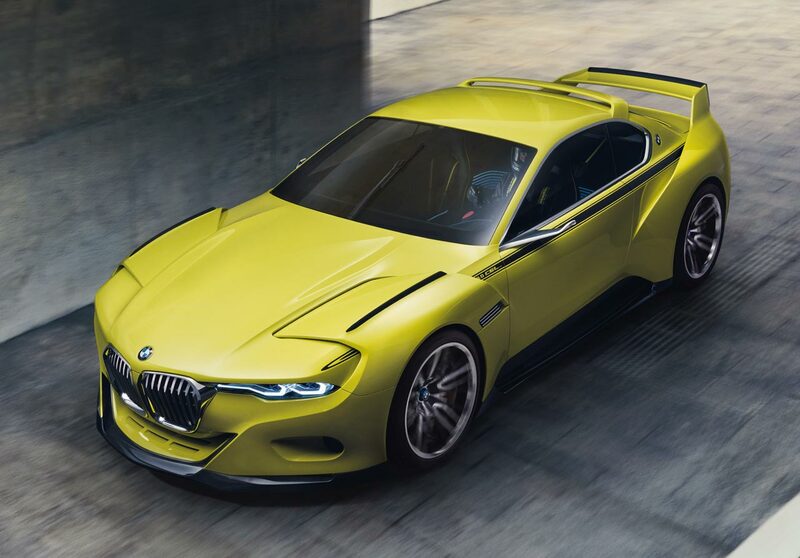 Overall, the BMW 3.0 CSL Hommage is one of the more exciting concepts from BMW in recent years, and while it's doubtful anything similar will go into production anytime soon, it certainly shows that when BMW want to do retro-inspired coupes, they do it very well. 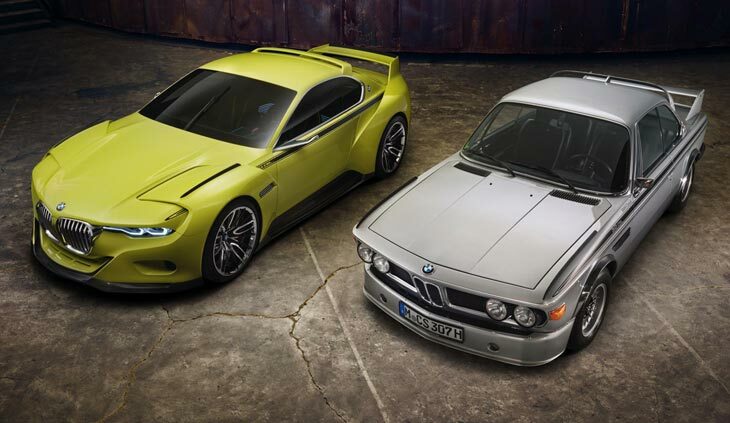 BMW also produced a racing modified version of the car called the 3.0 CSL Hommage R.